Sally just about to start the long route. 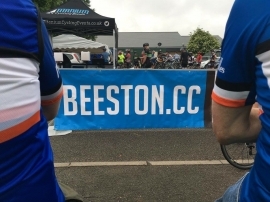 Important update from BCC exec: We are cancelling the Beeston Cycling Club Sportive because of the very low registration numbers leading up to the 1st of July. At the last exec meeting we decided that we needed a cancellation protocol and that we would wait until the 28th of May to see if the numbers increased sufficiently to justify proceeding. This would allow us to give a months notice to contact the registered riders, provide refunds and inform all the various stakeholders. 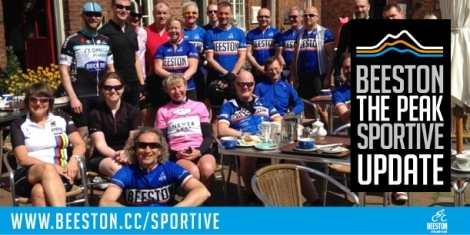 We as a club couldn't take the risk of asking our members to give up their valuable time to put on this great club run sportive only to make a loss. Over the years we are proud that we have put on a great club run event that offers something different from the more corporate sportives. 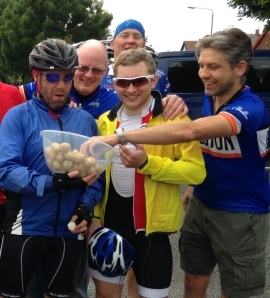 Instead of the sportive we suggest having a members' reliability ride, which means we can enjoy the day on the bike. We will update you on this shortly. Thank you to all our members for your fantastic help over the years. 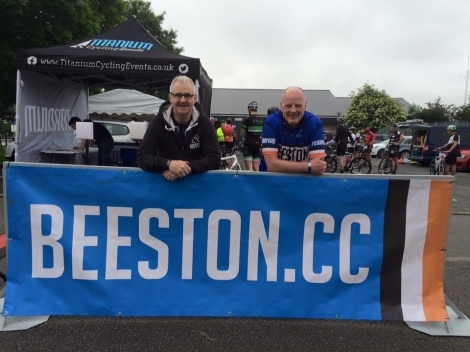 THIS EVENT HAS BEEN CANCELLED Beeston Cycling Club are delighted to announce that the 2018 Sportive is on the 1st of July. 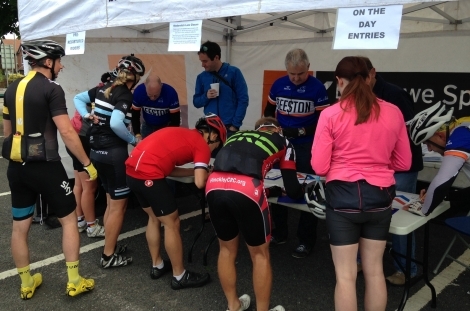 You can enter now and we believe it will be even better than our previous club run sportives. You can enter via the top right button on this page. Building on the great success we have achieved over the last 8 years our aim is to deliver a great rider experience from the minute you arrive to when you leave, tired but enthused to return the following year. 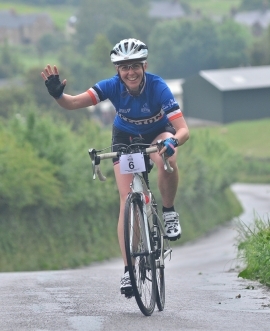 We look forward to welcoming you to enjoy the the delights of The Peak and experience our welcome and support that is unique to a club run sportive. On behalf the club I would like thank Richard Oakes and the legion of members that made our club run sportive another great event. 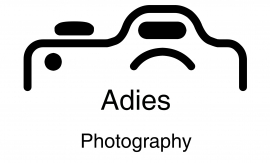 Over the weeks and months we are collating feedback and images. We are already looking ahead to next year to plan how we move things forward. More information will follow in late autumn. Richard has written to everyone thanking all our members that have made this happen. We have also written to all the riders with post-ride updates and links. 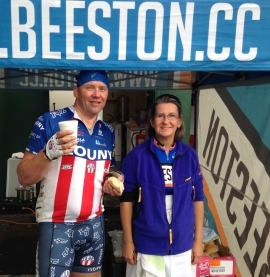 It was particularly great to see many BCC riders out too. See our facebook page for lots of sportive posts. A few weeks after the sportive we are energising ourselves and concentarting on club business and thinking about the next event which is the end of summer BBQ. 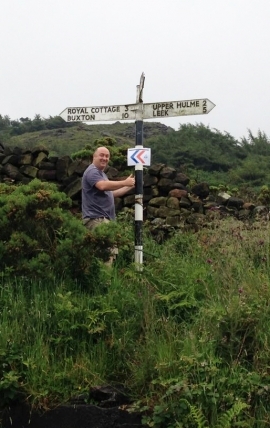 The fabulous 3 routes: 45, 75 and 110 miles take you into the glorious Peak District. 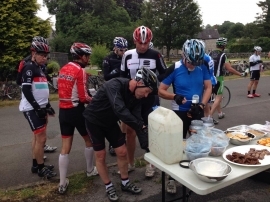 Over the years we have gained a reputation for hosting a great club run sportive which has tough middle and long distances, with the short route being very achievable but still taxing to novice riders. Considering we are on the doorstep of one of England's most famous and striking landmarks, we are proud to share it. 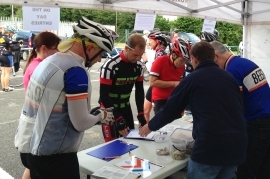 The feedback from participants about the routes and the welcome they receive form all the club members makes organising this sportive worthwhile. A full write up will be along shortly, (just as soon as we've done the washing up), we hope everyone had a fantastic day out and we hope to see you all again next year! 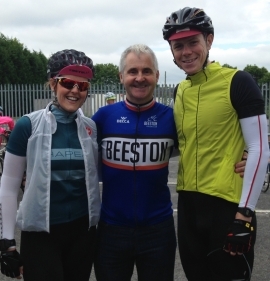 Another great success for our club run sportive. We are so thrilled that the riders had a great and challenging day in The Peak. This could not have happened without the BCC members who have helped and shown what a club can achieve. Our sportive might only last a few hours for the riders but it has taken months of careful planning and an army of helpers to make sure everything goes to plan on the day. 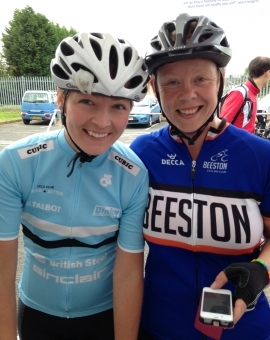 “Rode the BCC Sportive today for the first time and despite the numerous hills and wet end, enjoyed it very much. 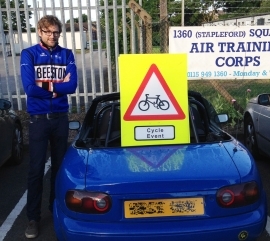 Congratulations on the efficient running of the event, especially the sign-posting - better than some of the bigger events I have done!” Stuart B. 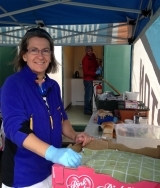 “Just to say thanks for a well organised Sportive today. 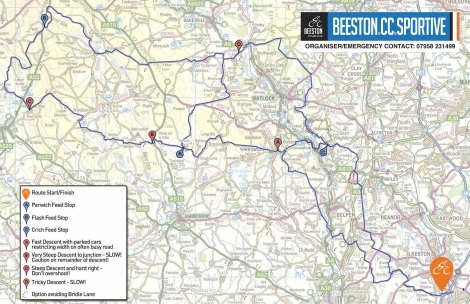 The long route was epic, almost on par with the Fred Whitton Challenge. 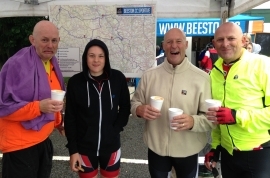 Great different selection of food, much appreciated.” Wayne H.
“I rode the BCC Sportive (medium) today - my first sportive, and a decent challenge as I'm fairly recently back into cycling. I want to say well done and thank you to all the organisers and volunteers for making it such a well-run and enjoyable event. A huge effort must've gone into it, and it is definitely something BCC and those involved should be proud of.” Neil B. “Thank you so much for a great event. 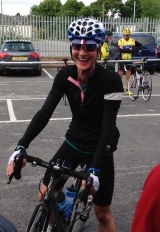 It was my first sportive and apart from getting soaking wet and riding the hilliest of hills I've ever seen in my life, I met a lovely lady who helped me to the end and had such a great day. I feel fantastic! 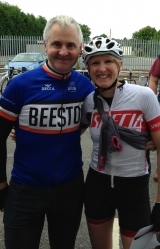 What an achievement.” Deborah T.
“Thanks to Beeston CC for organising one of the most sadistic cycle rides I've ever been on. 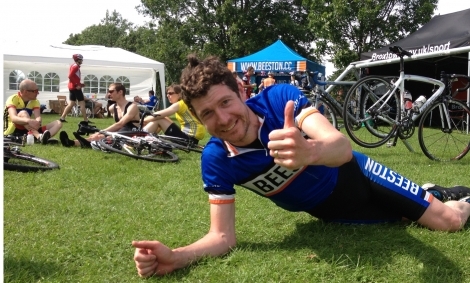 Gonna sleep well tonight, cracking day.” Matt N.
“It was the best run sportive I have done all year.” Jonathan B. A bus driver stopped at the Crich feed station and told one of our helpers “What a wonderfully courteous bunch of riders you all were on the sportive today.” Well done everyone. On behalf of Beeston CC, a massive thank you. We are always looking to improve year on year but we will enjoy our summer cycling before we start planning next year. 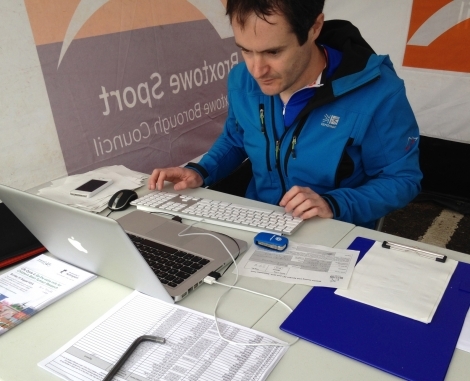 Jim uploading on the day registrations so they can receive instant times on their return. Sean and teams putting signs up which were much appreciated. Stuart AKA: Chris Froome getting some practice for the coming TDF.